Carpet adds a warm and cozy feel to any room. At Badgerland Flooring of SW WI, LLC, we offer thousands of colors and styles to choose from. We carry the latest fashions in carpet designs and textures so you can create a style that fits your home. From sophisticated patterns to luxurious solids, our design staff can help create the look and feel that you desire. 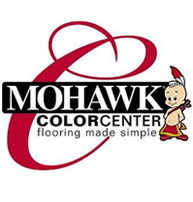 Badgerland Flooring of SW WI, LLC has teamed with Mohawk to become an exclusive Mohawk ColorCenter dealer. Mohawk has taken special care to create variety of products to meet your design needs. For more than 120 years, the name Mohawk has been synonymous with beautiful carpet. From the skilled hands of Mohawk's craftsmen, an array of colors, styles, and textures have enhanced the homes of many generations of Americans. Our professional staff can help you find the right carpet for any room and with our wide selection of designer colors, patterns, and textures we will make your job of finding the perfect carpet easier, and more enjoyable. Come in and let the experts at Badgerland Flooring of SW WI, LLC help you find the right carpet for your home!